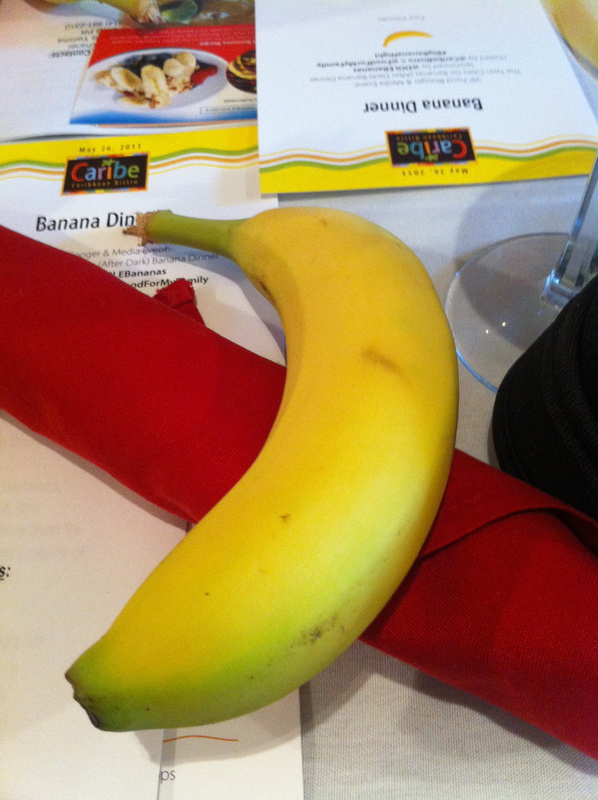 Big Banana Night was hosted by Caribe Bistro, Shaina from Food for My Family and Dole Banana, since the Twin Cities is one of their Banana’s After Dark markets. We started with Banana S’mores made by Shaina’s husband Ole. 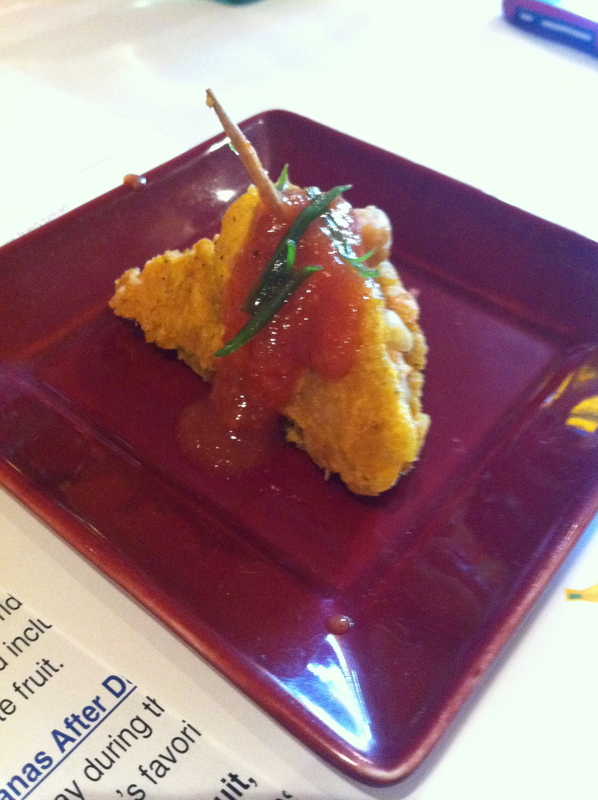 Then moved inside for a delicious dinner, starting with the chickpea curry over fried bread, topped with banana ketchup as the amuse-bouche. 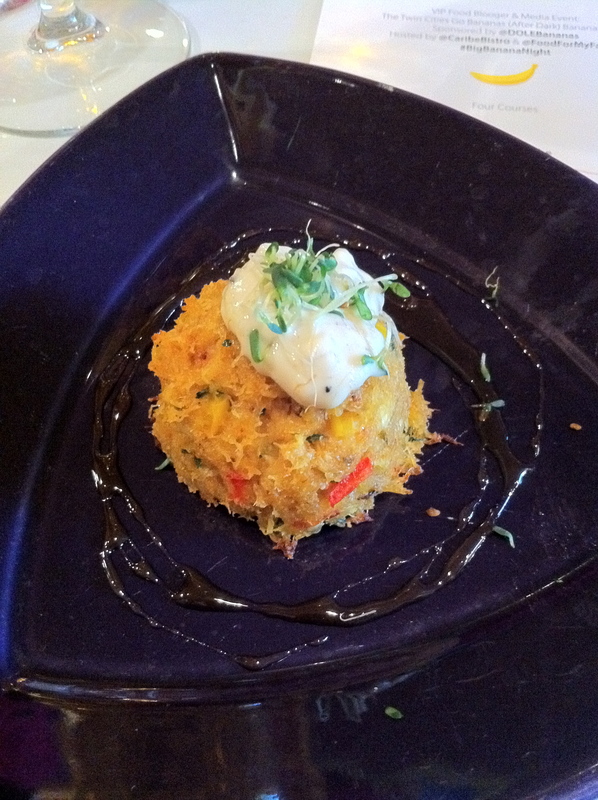 From there we moved on to an amazing crab cake topped with grilled banana aioli. 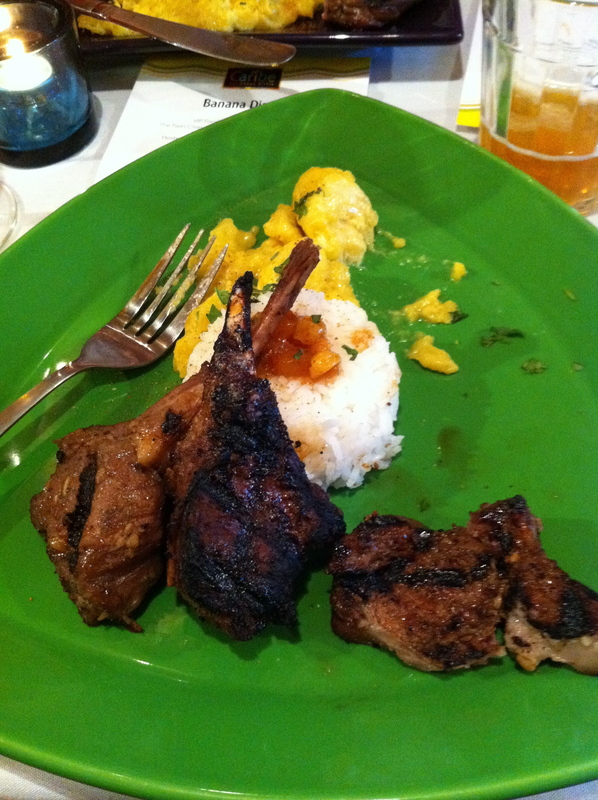 Our entrée was a grilled 5-spice rubbed frenched lamb chop (well, three to be exact) topped with a spicy banana-mango chutney. This was served with a side of coconut curry bananas and jasmine rice. 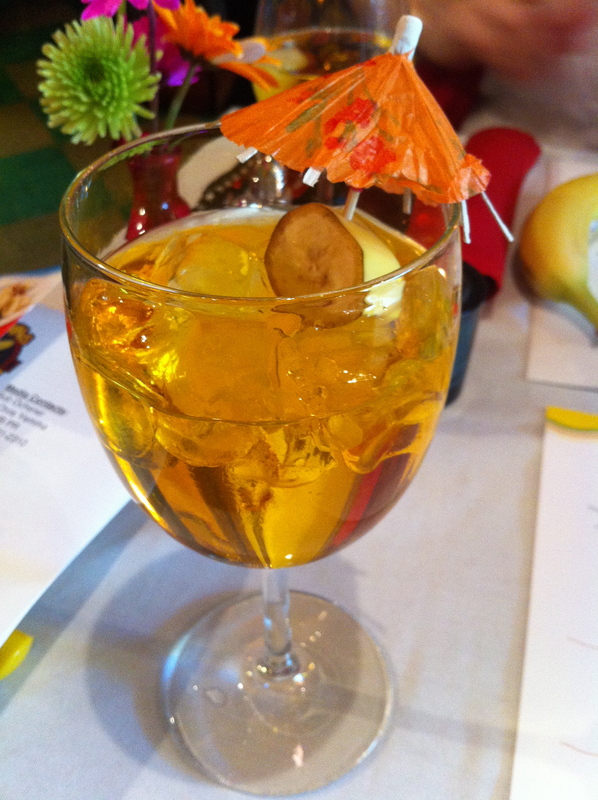 There were also two different banana drinks to go with our meals, and Adam Schulte from Ale Jail was there with beer that would pair well with the banana flavors in the food. It was a wonderful banana filled evening. 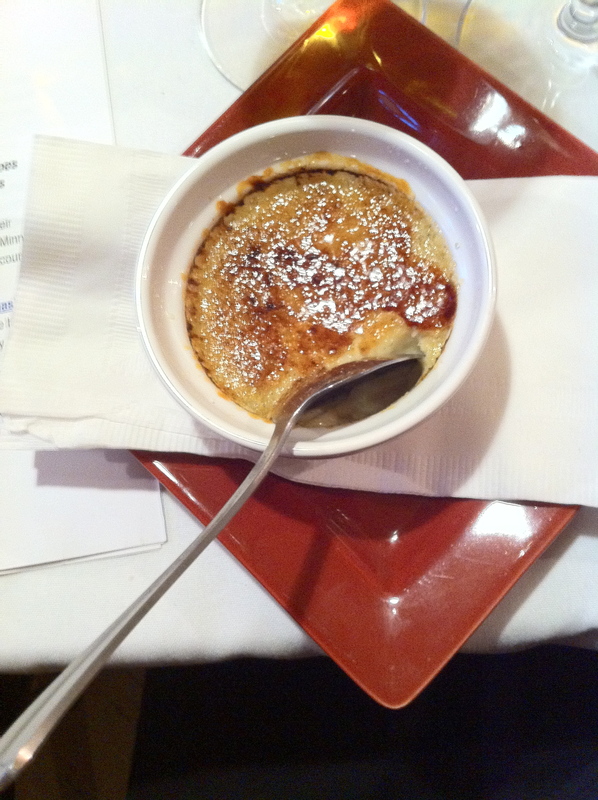 Thanks again to Heidi and Tony, Shaina and Ole & Chris from Dole Bananas for a fantastic dinner.